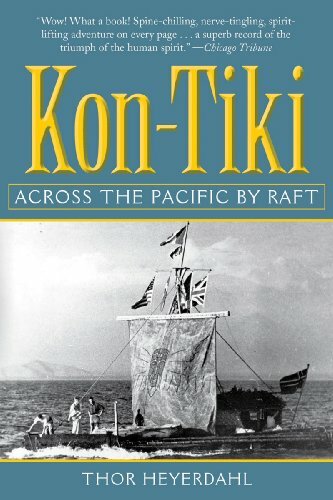 Kon-Tiki : across the Pacific by raft. KON-TIKI. Ein Floss treibt uber den Pazifik. Kon-Tiki. Translated by F. H. Lyon. Kon-Tiki; Across the Pacific by Raft. Six men on a small raft sail four thousand miles across the Pacific Ocean, from Peru to the Polynesian Islands. About Thor Heyerdahl (Author) : Thor Heyerdahl is a published author of children's books. Published credits of Thor Heyerdahl include KON-TIKI (Random House Pictureback).